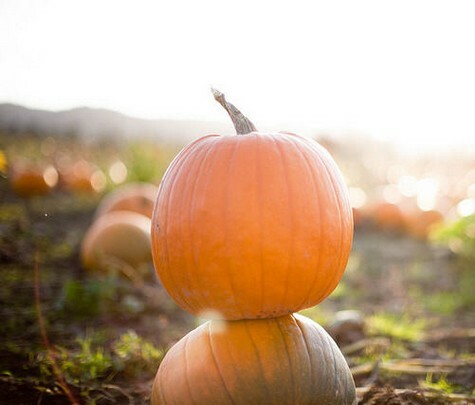 Indulging in pumpkin is highly beneficial for your skin and hair. Apart from consuming this fruit, you can apply it topically to soothe sensitive and environmentally-damaged skin. It promotes smooth and younger-looking skin. Simply rubbing fresh pumpkin pulp on your skin helps cure acne and blemishes. Pumpkin peels, too, can be used to relieve minor skin inflammation. Moreover, pumpkin seed oil is considered excellent for skin regeneration and hair growth. Pumpkins are rich in exfoliating enzymes and antioxidants. In addition, they contain vitamin A, vitamin C, vitamin E, alpha and beta carotene, magnesium, iron, phosphorus, etc. Pumpkin seeds, in particular, are loaded with essential fatty acids and zinc. • A combination of two tablespoons of cooked pumpkin and one tablespoon of organic honey works as a nourishing homemade facial mask. In case you have dry skin then you may also add a quarter teaspoon of whipped cream. For oily skin, you may add a quarter teaspoon of apple cider vinegar or cranberry juice. • Another interesting facial mask can be made by adding a beaten egg and a quarter teaspoon of honey in a quarter cup of cooked pumpkin. Those of you who have oily skin may replace the honey with two tablespoons of tomato juice. It is recommended to steam your face before using any facial mask when having blackheads or whiteheads. It enables the mask to penetrate deeper into the skin. • Rejuvenate your skin by applying a mixture of a cup of cooked pumpkin, the same amount of plain yogurt, and one tablespoon each of green tea (brewed), carrot juice, honey, and grape seed extract. Spread this recipe on your face and neck. Wash it off after 10-15 minutes. Regular application of this beauty mask helps maintain healthy and youthful skin. • When dealing with dark spots, take a tablespoon of pumpkin puree, and add one teaspoon each of fresh lemon juice, honey, and vitamin E oil in it. Apply this paste on your skin and rinse it off after 15 minutes. To make a pumpkin puree, rinse the pumpkin to remove dirt from its skin, chop it into large chunks, remove the seeds and innards, and bake the fruit in a preheated oven for about one and a half hours. Finally, scoop out the pulp from the large pieces and puree it in a food processor or blender. Alternatively, you can cook pumpkin chunks in boiling water for half an hour and then puree the fruit. Here’s a video showing how to make pumpkin face mask and scrub. • Add half a teaspoon each of milk, honey, and a quarter teaspoon of ground cinnamon in two teaspoons of cooked pumpkin. Apply this simple recipe on your face and wash it off with lukewarm water after about 15 minutes to condition and exfoliate your skin. You can prepare pumpkin pie face scrub by mixing two tablespoons of plain yogurt and a tablespoon of ground almonds in four tablespoons of cooked pumpkin. • To exfoliate your body with natural ingredients, scrub your body with pumpkin puree mixed with a little Epsom salt. • Improve uneven complexion and treat premature skin by blending two-third cup of mashed papaya, 15 ounces of pureed pumpkins, a beaten egg, and leaving this homemade facial mask on your skin for 10 minutes. Finally, wash your face, and apply your regular toner and moisturizer. • Moisturize dry feet by applying a combination of two tablespoons each of pureed pumpkin and Vaseline. • Prepare a homemade deep conditioner for hair by blending half a cup of cooked or canned pumpkin puree, a quarter cup of plain yogurt, and two tablespoons of organic honey in a blender or food processor. You may also add coconut oil in it. Apply this paste on your hair, leave for about 20-30 minutes, and then rinse it off with cool water. • Regularly consuming pumpkin seeds and applying pumpkin seed oil in your hair stimulates hair growth. Pumpkins are also good for your health. They improve kidney function, promote hematopoietic function, boost immunity, control hypertension, and lower blood cholesterol levels. Besides, pumpkin seed oil is considered as a natural home remedy for urinary problems and bedwetting. Plus, it has anti-parasitic and anti-arthritic properties. Moreover, drinking pumpkin juice mixed with honey helps heal insomnia.